Cumbria, October 1919, and the war is almost over but it comes too late for Eleanor Sanderson and her family as they receive the devastating news that her brother Walter has been killed in action. As they struggle with their grief Eleanor’s father hires a young gardener, Jack Taylor, to renovate a walled garden. Gradually, a wholly unsuitable friendship between Eleanor and Jack begins. Decades later, Marin Ellis moves into the same house with her half-sister Rebecca. Both are coming to terms with the deaths of their father and his second wife. As Marin and Rebecca hope for a new start in life and learn to live with one another, they find the abandoned walled garden and, with help from neighbour Jane and gardener Joss, begin to unravel the mysteries of the garden’s past. This is the second book in the Tales from Goswell series by local writer Katherine Swartz and fans of the first book will be delighted to know some of the characters appear in the second. That said, this book stands alone and you don’t need to have read The Vicar’s Wife to enjoy this one. I have to say I enjoyed this second novel considerably more than the first. The reason for this preference is that The Vicar’s Wife entered the mind of the two female protagonists far too much for my comfort as a man! While every woman I know who read the book loved it for exactly that same reason, I found myself dazed by the alien territory which is a woman’s mind. In contrast, The Lost Garden was much more accessible even though, again, we are privy to the thoughts of two females, perhaps because there’s more interaction with other characters and less introspection. I easily identified with Marin Ellis: working from home in a Cumbrian village; enjoying the peace but also aware of the solitude; blundering through raising a teenager and so on. I didn’t feel overwhelmed by her emotions but sympathised instead. Although ultimately this is a story of romance, Katherine Swartz underplays this aspect and deals well with the deeper issues of loss and identity when one’s world has completely changed. These are things which both sexes have to deal with at some point in our lives. The Lost Garden is an easy read with chapters just the right length and the plot easy to follow. I felt the ending was too rushed considering the long build up to the climaxes and think we needed more time to come to terms with the revelations at the end and their resolution. But perhaps doing so would have strayed into the territory of trashy mush – something Swartz admirably avoids – so I will give the author the benefit of the doubt. Overall, I found the book a thoroughly enjoyable read and heartily recommend it. 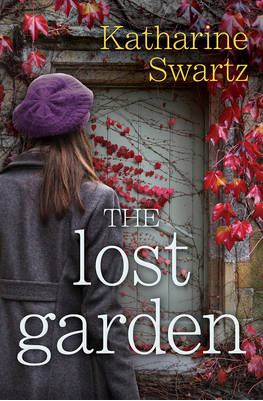 The Lost Garden by Katherine Swartz is published by Lion Fiction, price £7.99 and available from July 2015.